View of the Century City skyline from the Getty Center. 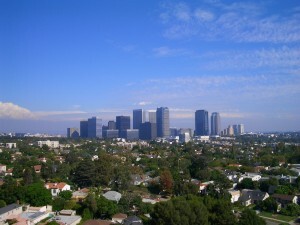 Downtown Los Angeles (Bunker Hill district) can faintly be seen to the east of Century City. 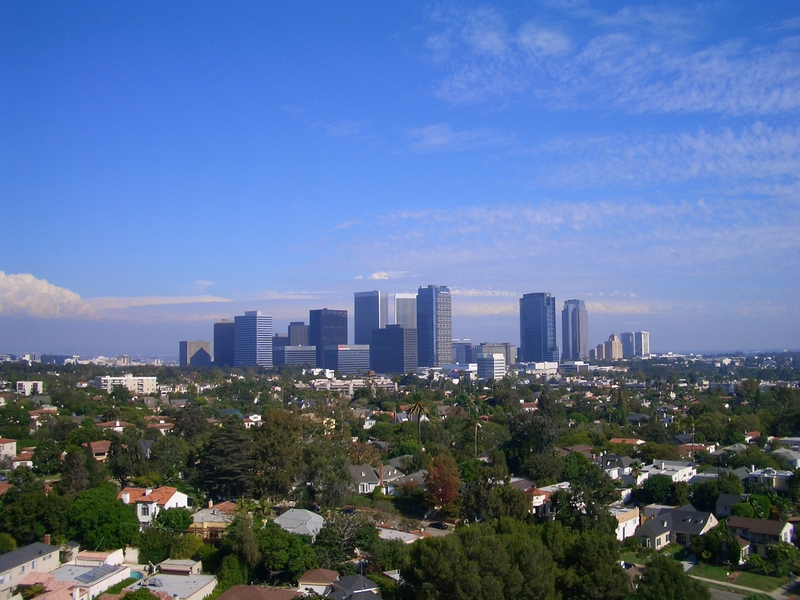 Century City is a 176-acre commercial and residential district on the West Side of LA. 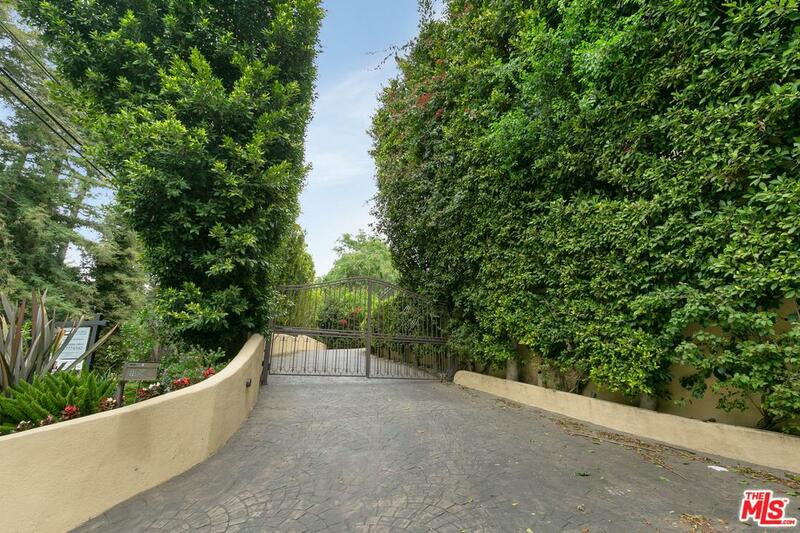 It is bounded by Westwood on the west, Rancho Park on the southwest, Cheviot Hills and Beverlywood on the southeast, and the city of Beverly Hills on the northeast. Its major thoroughfares are Santa Monica, Olumpic and Pico Boulevards, as well as Avenue of the Stars and Century Park East and West. Century City is an important business center, and many law firms and executives—particularly those with ties to the film, television, and music industries—have offices there. Most popular condominium communities: The Century, Le Parc, Century Hill, Park Place, Century Towers, Century Park East & Century Woods. The high-rise buildings along Wilshire Boulevard known as “The Corridor” in Westwood appear to blend in with those of Century City when seen at a distance, although they are separated by over three-quarters of a mile. Its gleaming high-rises stand in stark contrast to the small apartment buildings and single-family detached homes in the lower-density neighborhoods surrounding it, and were some of the first skyscrapers built in Los Angeles after the lifting of earthquake-related height restrictions in the early 1960s. For many years it was home to the ABC Entertainment Center, which housed network operations for the ABC Television Network and the Shubert Theatre. They were demolished in 2004. Fox Plaza, 20th Century Fox -headquarters most well known for being Nakatomi Plaza in the movie DIE HARD. At the southern end of Century City, Fox Plaza towers over the nearby neighborhoods. Once a backlot of 20th Century Fox, which still has its headquarters just to the southwest, the Fox studio commissioned a master-plan development from Welton Beckett Associates, which was unveiled at a major press event on the “western” backlot in 1957. In 1961, after Fox suffered a string of expensive flops, culminating in the box-office disaster Cleopatra, the film studio sold about 180 acres to developer William Zeckendorf and Aluminum Co. of America, also known as Alcoa. The new owners conceived Century City as “a city within a city”. In 1963 the first building, Century City Gateway West, was complete. 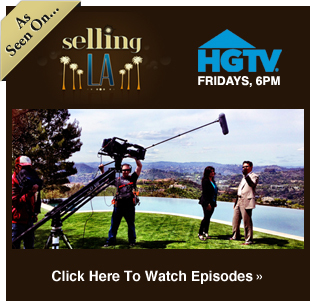 See all Century City Solds.